The Original Spence Cafe is a BYOB restaurant and has been a tradition in West Chester since 1996. We specialize in the finest quality meats and seafood as well as locally sourced produce and other ingredients. Come join us for a special Mother's Day menu from 1 - 5 pm May 12, 2019! Come and join us for a special Easter Brunch Buffet! 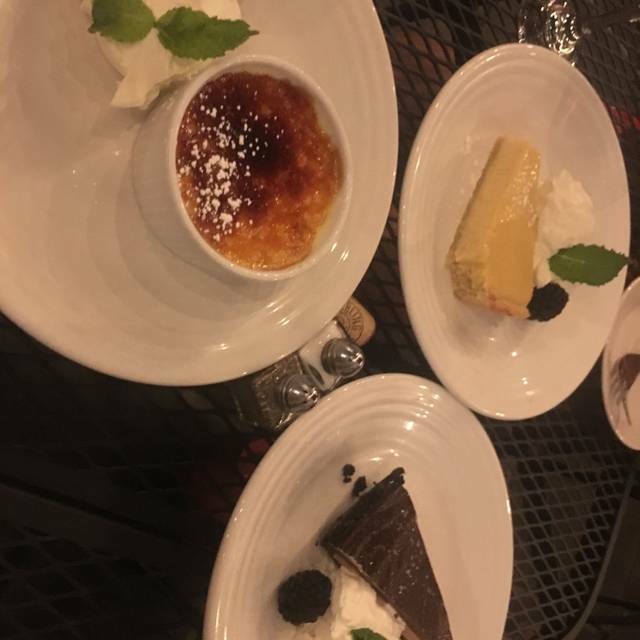 Some highlights are roasted lamb chops, pineapple baked ham, chicken piccata, Braised short ribs, quiche, baked french toast, fresh fruit, assorted pastries, Salads, and Lasagna. Make your reservation today! Excellent food and service. We will be back again! The food is just amazing. Great space and excellent service. 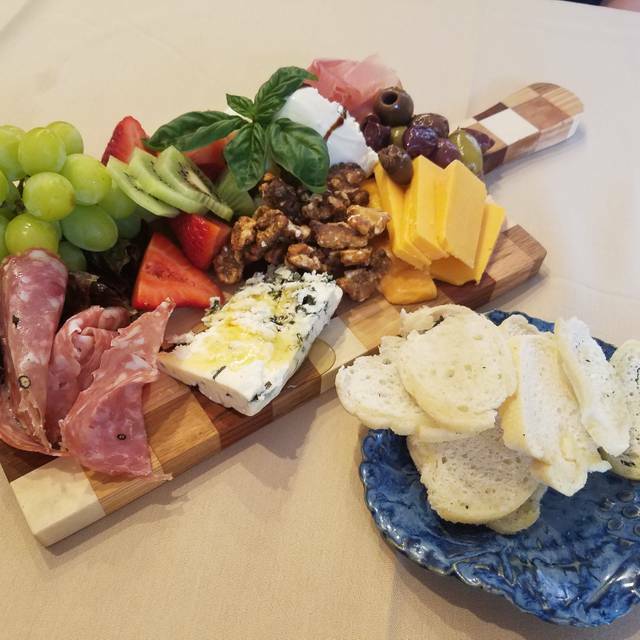 First course of cheese boards was very slow to come out, but everything else was nicely paced. We passed on dessert since we were told that the kitchen closes at 10PM and we needed to hurry and get our order in. That seems early for a weekend night. The food was outstanding, well-seasoned and great quality. We'll be back for sure. Everything about our dinner was wonderful - food, service, ambiance. We have been to all 3 Spence Cafe’s. This one, by far, has the best atmosphere. It was bright and pleasant. We loved it. Can’t wait to eat on the patio once the weather warms up. Light casual lunch with friends. Perfect portions and price! We decided to repeat the lunch in May- maybe be able to enjoy outside patio. Chris was a very friendly server. The food is always amazing and I like going there for lunch with prospects because it's not noisy. The food and service were quite good but the place is way too loud. For those prices, one should be able to have a conversation without having to yell. I wouldn't go back unless I knew that they had fixed the acoustics problem. Top notch dining in West Chester. Food is excellent and the staff is knowledgeable and friendly. The pork chop is gigantic and quite good. The ice cream sandwich for dessert is a treat worth sharing. Great BYOB though the $5 corkage fee is a little annoying since no alcohol is served at all. Tends to be pretty loud and gets very crowded on Saturday nights when Uptown has a show that night. All in all there’s few places better in the area for a good meal. We have been to this restaurant MANY times and it NEVER dissapoints! The service, staff and food are consistently fantastic! I have a gluten allergy and they go above and beyond to ensure that my choices are Never limited! I would without hesitation recommend The Original Spence Cafe!!! Great food and service ! Loved the cozy atmosphere! So glad this place reopened ! Will definitely be back ! Had the crab cakes which were two and packed with super lump with fingerling potatoes and carrots..delicious, would highly recommend. Only downside is the noise level. They should definitely invest in noise canceling ceiling. Have been here for lunch but this was the first time for dinner. Will definitely return! Great meal as usual ... especially the service by Marilyn !!! and the dessert is to die for !! We enjoyed our meal and the service was great- Thanks Chris! It was a little noisy as would be expected in a "city" restaurant. So glad Spence is still part of the West Chester dining establishment! We totally enjoyed our dinner at the Spence Cafe. Service and food were excellent. We look forward to returning. I had dinner with the girls before a show. The restaurant was quiet enough for us to be able to talk. The waitress was great. We had soups and salads and a bunch of appetizers and shared it. I would go back again. Enjoyed our visit to the café. Server was just so pleasant and patient with us. Had a great time celebrating my friend's birthday! Very lively place, good food with decent portions. Pretty rooms, with many candles and small lights giving a festive decor, especially during winter. Our first time there and we will return. Just remember it’s BYOB. Still our favorite spot in WC. Great food, great service, and BYOB. Excellent food & service, awesome atmosphere, great value w/ BYOB. Love this place. Really amazing food. The Tuna tartare, halibut and ribeye were all terrific. Really cool place to take a date. Fancy, but not stuffy at all. When we arrived we were greeted and seated immediately. The restaurant was lovely but as it filled up the noise level became very uncomfortable. The food however was exceptional. I dined with three other people who all raved about their meals. The service was good for a busy Saturday night. Love that it’s BYOB but the $5 corkage fee per bottle was a little off-putting. Just another awesome meal. Spence cafe just never disappoints and more often than not thrills you. Had business associates in town from NY and Baltimore - they were astounded at how delicious everything was. Service was on the money as well. The food was wonderful, and the setting is lovely. We took out of town visitors, and we will definitely be going back on our own to try the delicious-sounding things on the menu we missed the first time around. Took my parents out and they LOVED it! We had a great dinner! The food was excellent and the staff is very attentive but not intrusive. Being a BYOB is an added value too. Four of us for dinner. Appetizers and salads were very good although the waitress questioned one of the guests as to why she wanted dressing on the side. Dinners were very good. I had one of the specials which was Farro Island salmon with scallops and crab. Scallops were a bit disappointing as they were tiny and very chewy but overall for all of us a very good dining experience. Have been several times and will return again. Presentment was so nicely done. you didn't want to wreck the scene by eating the fare! But- the consumption was well worth any remorse suffered for ruining the creation. Outstanding!! Been there previously, will return, positively!!! Excellent food in an informal setting. The best in West Chester! Had an enjoyable Saturday night out with friends. Setting was nice--formal but not stuffy. We had an 845pm reservation and they had our table ready for us when we arrived around 835pm. Always nice when a restaurant actually honors your reservation time! Specials were really interesting--3 of the 4 of us ordered them. The starters were a bit of a miss, but not by much. The surf and turf dumplings were hard to distinguish between the beef and the crab, so we had to cut them all up to know which was which. And the sweet potato toast, while flavorful, was a bit too heavy on the sweet potato so we never finished it. But the entrees were great--very well done. And, since it was a BYOB, even ordering some of the pricier items on the menu didnt result in a check that gave us any pause. Location was great, especially with the parking garage directly behind it. Would recommend and will visit again. Food was delicious! Service is great! We were seated by the front and so it was very loud. It seemed further back in the restaurant was quieter. We LOVE this place, food is always amazing! The food was spectacular! We had a wonderful meal with our friends. The staff did not look at our special request until a couple of hours before our reservation time. They could not fulfill our main request which was only apparent when we arrived. We asked for a quiet table in their back room. They had a large party there so no room for us. Ok--but would have liked to be notified. Not a deal breaker. We will be back. Compliments to the Chef and his staff... they made my special occasion a memorable one! Outstanding all around Andrew! Everything on the menu is so appealing, it is difficult to make choices. The soup specials are always delicious! The shrimp and crab roll is,packed with fresh delicious seafood. My husband loved the grilled cheese short rib sandwich. 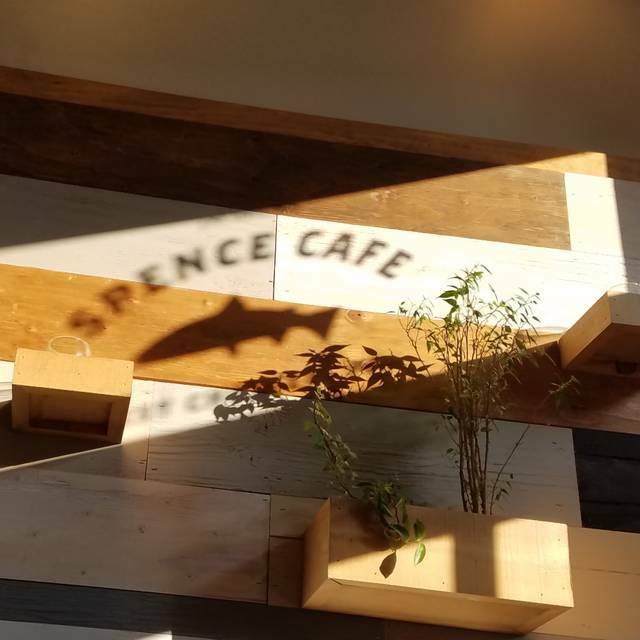 MSpence is,our favorite restaurant!